Allergy symptoms can be more than bothersome or irritating; they can interfere with your day-to-day activities and sleep. 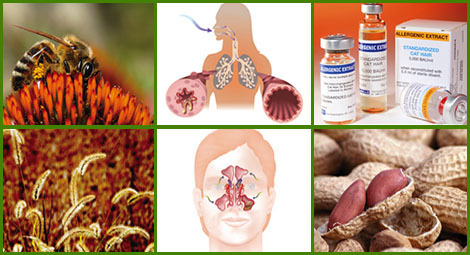 Allergies can also result in loss of productivity, missed work or school, and overall poor quality of life. At Frederick Allergy & Asthma Center, we help you get control of your allergies and begin enjoying the simple things in life. We are board-certified specialists in allergies, asthma, and other allergy-related illnesses. We diagnose and treat both children and adults. If you suffer from hay fever, food allergies, insect allergies, asthma, eczema, hives, or other related problems, we can help. Call and set up an appointment today. Make an appointment with an allergy and asthma specialist. Frederick Allergy & Asthma Center is located in Frederick, Maryland, and serves patients from all over Frederick County. For more than a decade, we have been helping allergy sufferers manage their symptoms, reduce their risks, and improve their lives. Dr. L. Brigida Hunter is a certified allergy specialist with more than 15 years of experience in the field.